The increasing number of alternative treatment options for the same condition created the need to undertake reviews that address complex policy-relevant questions and make inferences about many competing treatments. Such reviews collect data which, under conditions, can be statistically synthesized using network meta-analysis. 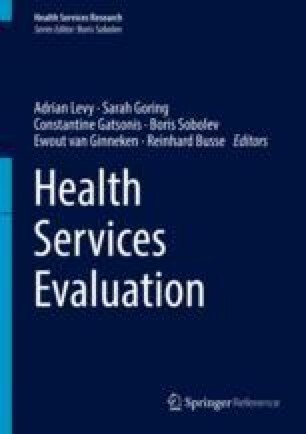 This chapter presents the basic concepts of indirect and mixed comparison of treatments and presents the statistical models for network meta-analysis and their implementation both theoretically and in examples. The assumption underlying network meta-analysis is extensively discussed and extensions of the models to account for effect modifiers are presented. GS and AC received funding from the European Research Council (ERC starting grant IMMA 260559). DC is supported by an UK MRC Population Health Scientist Fellowship (G0902118). JPTH is funded by Medical Research Council grant U105285807. Hughes S. First “comparison” of prasugrel and ticagrelor. 2010 Sep16. Available from http://www.theheart.org/article/1122713.do. Accessed 27 Apr 2011.